Manipulating the temperature and the length of time under which cocoa beans are roasted can simultaneously preserve and even boost the potency of some bioactive and antioxidant compounds while protecting desired sensory aspects of chocolate, according to Penn State researchers. That finding flies in the face of previous studies that indicate that roasting always results in a reduction in the polyphenol content in the beans. Cocoa polyphenols are believed to have a positive influence on human health, especially with regard to cardiovascular and inflammatory diseases, metabolic disorders and cancer prevention. Chocolate, a food usually consumed for pleasure, in recent years has been reconsidered as a source of healthy compounds, noted lead researcher Joshua Lambert, associate professor of food science. The goal of the study, he explained, was to learn whether the roasting of cocoa beans could both preserve preferred flavor characteristics and boost health benefits. 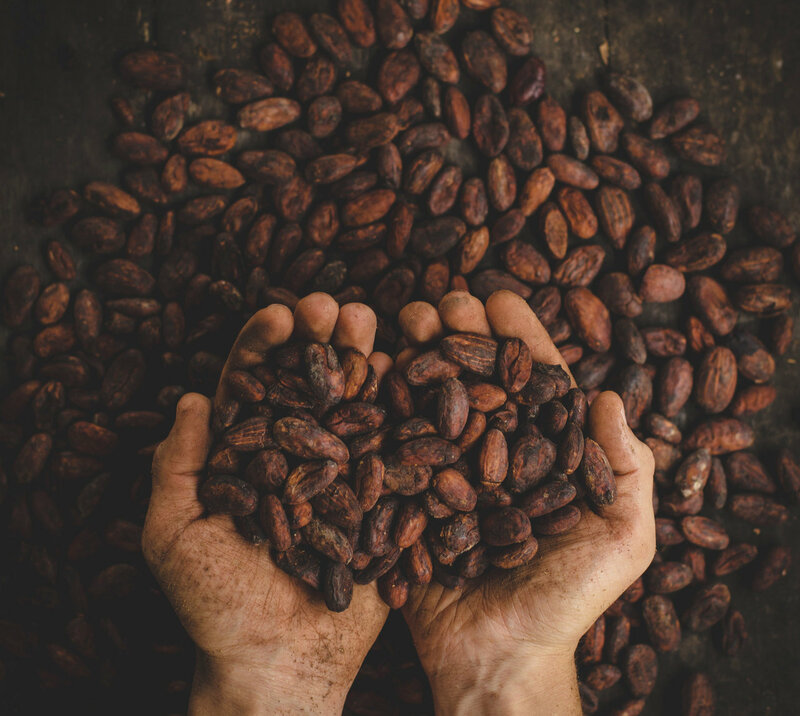 Researchers investigated the impact of whole-bean roasting on the polyphenol content, aroma-related chemistry and pancreatic lipase inhibitory activity of cocoa under a range of roasting conditions. The inhibition of pancreatic lipase activity is a potential anti-obesity strategy. Pancreatic lipase breaks down triglycerides into fatty acids, which then get absorbed through the lining of the small intestine. A pancreatic lipase inhibitor prevents the formation of fatty acids and therefore prevents absorption of dietary fats into the body. In the study, total phenolics, epicatechin, and smaller proanthocyanidins were reduced by roasting at temperatures under 302 degrees Fahrenheit, Lambert pointed out. By contrast, roasting at 302 F or above increased the levels of catechin and larger proanthocyanidins, which have a greater ability to inhibit pancreas lipase. Consistent with these changes, researchers found that cocoa roasted at 338 F better inhibited pancreatic lipase inhibitory activity than cocoa roasted at lower temperatures. Cocoa aroma-related compounds increased with roasting above 212 F, whereas deleterious sensory-related compounds formed at more severe temperatures, 338 F.
The research findings suggest that cocoa roasting can be optimized to increase the content of some polyphenols and boost anti-pancreas-lipase activity, while maintaining a favorable aroma profile, Lambert pointed out. 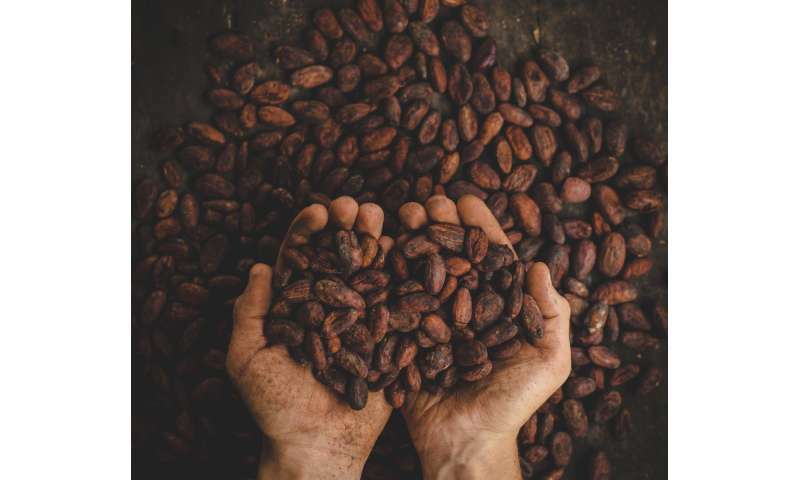 "Our results show that if you look at the individual polyphenolic content or the individual polyphenol compounds in cocoa, roasting causes some of them to go down while some of them go up," he said. "It is more complicated than saying that roasting leads to a decrease in phenolic content, and that by extension roasting reduces the health beneficial effects of cocoa." 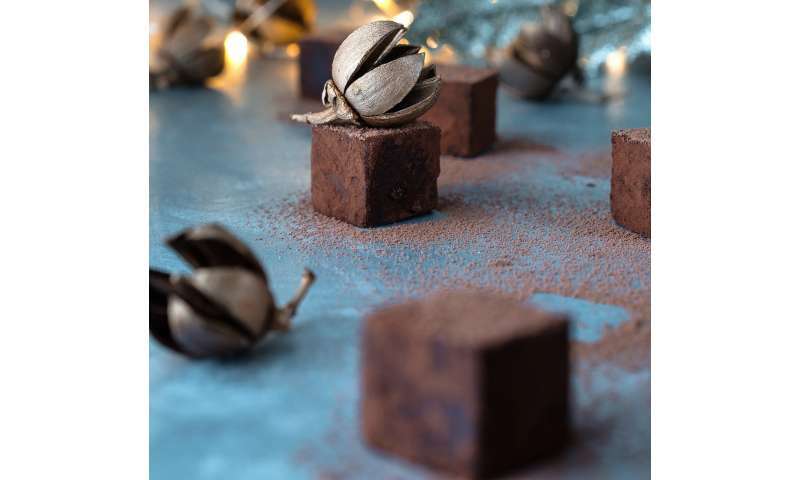 The findings of the research, which were recently published on-line in Food Chemistry, will be of interest to chocolate makers, Lambert believes, because of an increasing demand for chocolate products offering enhanced health benefits. He cited as an example Mars company's CocoaVia cocoa-extract supplement that promises to deliver 375 mg of cocoa flavanols—antioxidants—in each serving to promote good health. 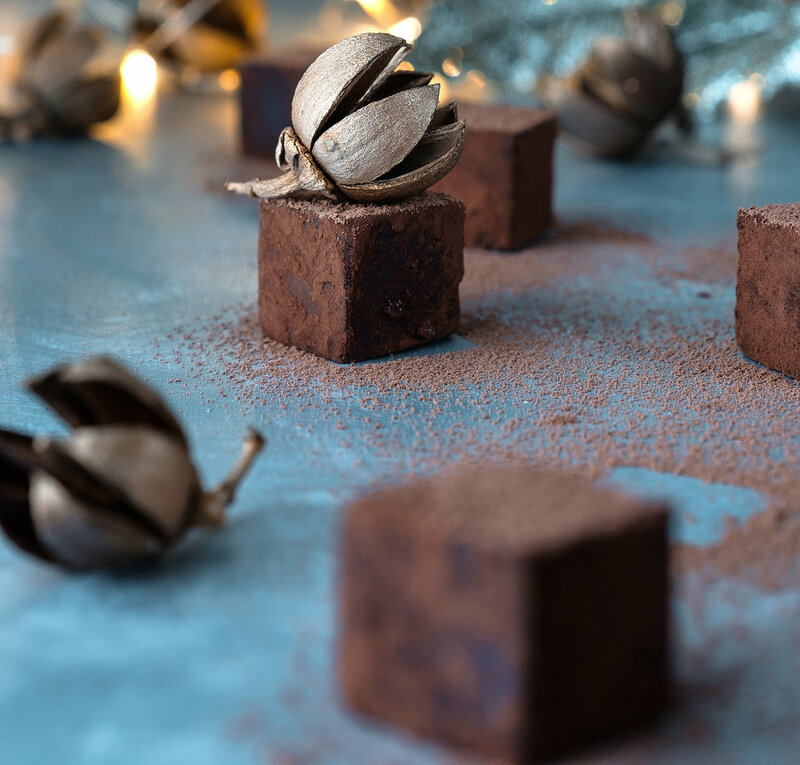 Beyond cocoa and chocolate, going forward Lambert predicted that more attention will be focused on how processing can affect the health beneficial effects of food. "The effects of roasting and processing are complex and it's important to better understand what's going on in terms of the effect of the processing on the chemistry of the food," Lambert said. "We need to know how processing really affects the biological activity rather than to make an assumption that processing is always bad and that unprocessed or minimally-processed foods are always more healthful." One case in point are studies that show that the human body is able to absorb lycopene better from tomato sauce than from raw tomatoes—cooking tomatoes improves the bioavailability of the antioxidant, he said.